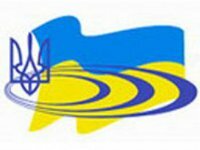 The National Council for Television and Radio Broadcasting of Ukraine has sent a warning to the 112 Ukraine TV channel (regarding the satellite license) for infringements during the Shuster Live show which the channel retransmits. An Interfax-Ukraine correspondent has reported that the decision was made at a meeting on February 18. According to the monitoring of the regulator, Russian journalist Maksim Shevchenko joined the show, and his statements were of anti-Ukrainian character. A representative of the TV channel Liudmyla Pysanka said that 112 Ukraine believes that this situation is inadmissible, these things cannot be retransmitted on the Ukrainian TV channels and in the future the channel plans to control the process of inviting guests to the studio of the Shuster Live show. She also said that the TV channel is ready to break the show if the situation repeats. The 24 TV channel also retransmitted the show, but a representative of the TV channel said that the contract with Savik Shuster Studio has been broken.